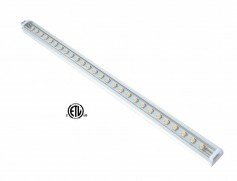 Easilly connect 1 LED Linear Light to the next without use of any wires. Standard 12" Length, can connect from one to the next to custom length. Can be dimmed with Low Voltage LED Dimmers that are available on our accessories page. GBL's linkable LED linear light has a thin 9mm profile and includes surface mounting hardware for a finished low profile flush mount LED light. Built in alluminum heat sink. Includes easy connector with 12" wire lead and low profile surface mount connector. 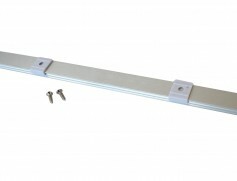 Adjustable beam spread mounting hardware and Wire jumpers available. 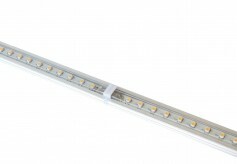 Size: Length 12" x 5/8" x 1/4"
Can adjust the fixture to focus light where its needed.